Over Two Hundred Thousand (200,000) people are currently displaced by the Herdsmen- invasion in Benue State. The situation is very critical. 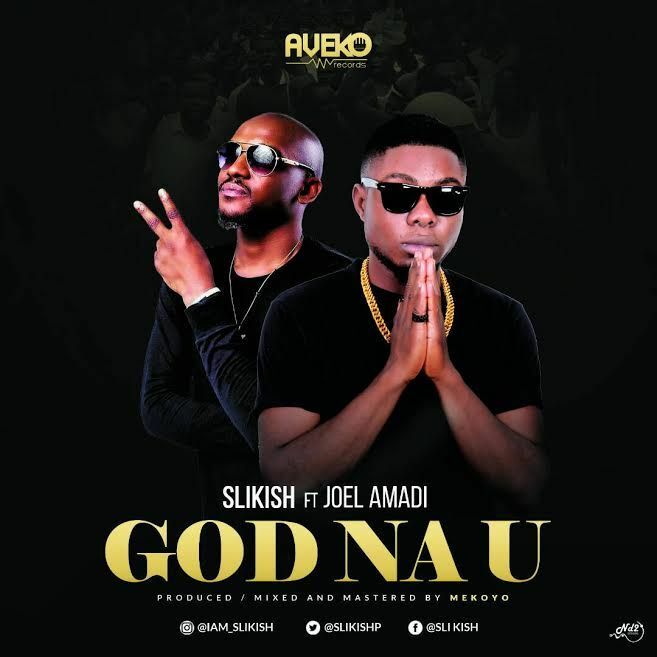 #GodNaU is a peace movement meant to draw the attention of the world to this major humanitarian crisis by a passionate and talented son of the soil. Following the huge success of the audio of the emotion laden, thought provoking single, Aveko Record‘s signee Slikish premieres the visuals for the song, featuring Kennis Music’s number one Jo-el Amadi and directed by Dr. Nell. The video succinctly captures the true state of things in Benue State awash with frequent and unending killings, mass burials, displacement of people from their ancestral homes and unrest all over the state. Download both audio and video below and most importantly, remember the peace loving people of Benue state in your prayers as you also spread the gospel of this movement by sharing the audio and visuals to this song. Slikish, real name Peter Aondohemba Emberga, a Mass Communication Student of Oduduwa University in Ile Ife, Osun State and hails from Gwer East L.G.A of Benue State.